We Angel Handicrafts CO. also manufacturing Bone buttons blanks.We make Bone Button Blanks From Buffalo/Cow/Ox/Camel Bone Pieces, the size range we manufacture from 12mm,14mm, 16mm, 19mm, 21mm, 23mm, 26mm, 29mm, 31mm.Ours Bone Button Blanks likely for its quality.These Buttons are high in demand among our international clients. Its also apprciated by client due to its finishing, quality and reasonable prices. 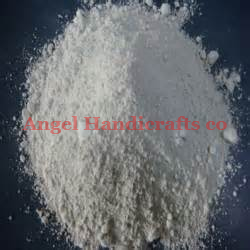 Bone ash is the white, material produced by the calcination of bones. It is primarily composed of calcium phosphate. It is commonly used in fertilizers, polishing compounds and in making ceramics such as bone china. It also has historical uses in the manufacture of baking powders and assay cupels. 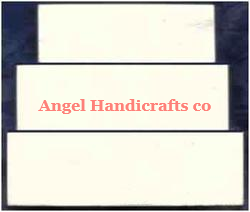 We Angel Handicrafts co. are leading maker of Bone Boxes of Buffalo/ Cow/ Ox/ Camel Bones. Our superb range of Decorative Bone Boxes are highly commendable by our esteemed clients, which can be used for various purposes. We have used supreme quality material while designing the boxes. Wide range of bone boxes is highly appreciable by the market vendors for its innovative and creative designs. We bring forth for our clients an impeccable spectrum of Bone Needle that is used to make shoes, tents, clothes, blankets, nets, etc. 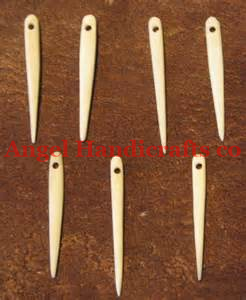 The offered needle is crafted with the help of optimum quality bone and the latest techniques. Furthermore, this needle is checked stringently on various parameters in order to offer a qualitative range at our clients end. Our valuable clients can easily avail this needle at market leading prices. 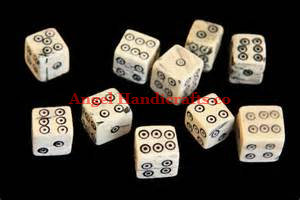 Bone Dice are very dazzling and gives it good look and finishing as well. They are used in international as well as domestic market. These are available in various shapes, patterns and sizes. They are made from high grade raw materials which are sourced from the reliable vendors of the market. We present a perfect assortment of Bone Scale to our appreciated patrons at pocket-friendly rates. These scales are developed by our trained personnel with creativity and diligence. Professionals at our end are highly qualified and experienced who employ only premium-grade material in fabrication of these scales.